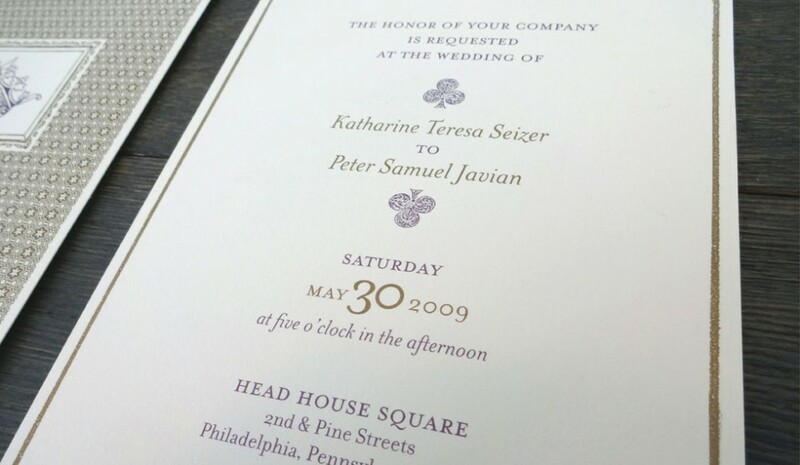 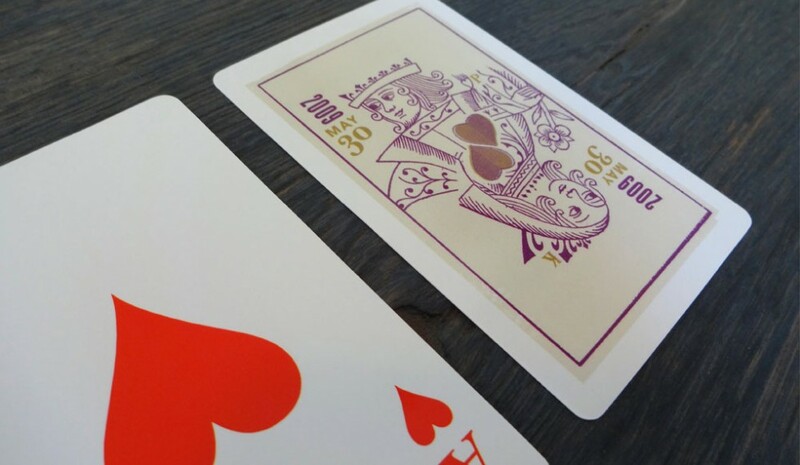 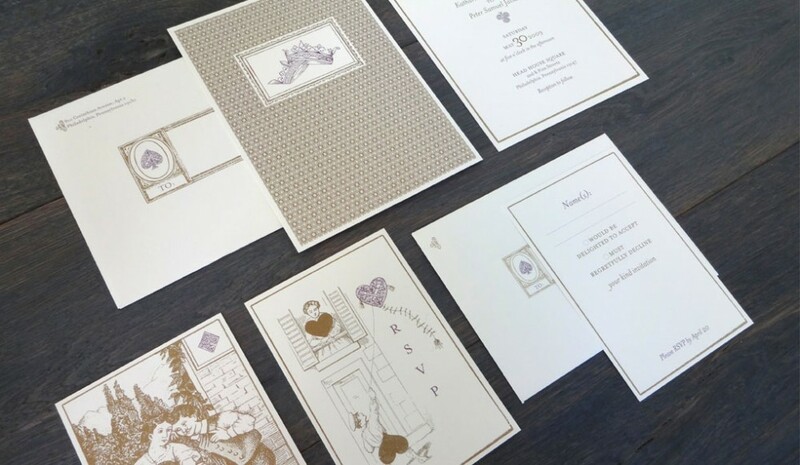 A wedding invitation package designed for a couple with a love of card games. The goal was to capture their playful side, while also creating a level of sophistication fitting for the formal event. 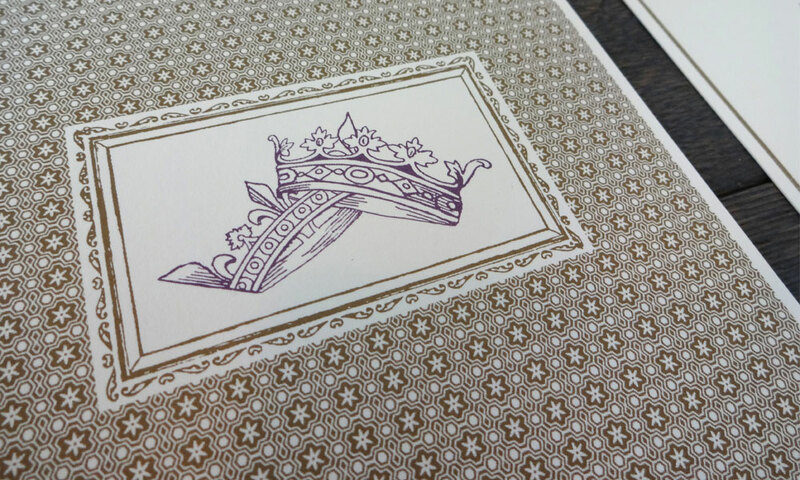 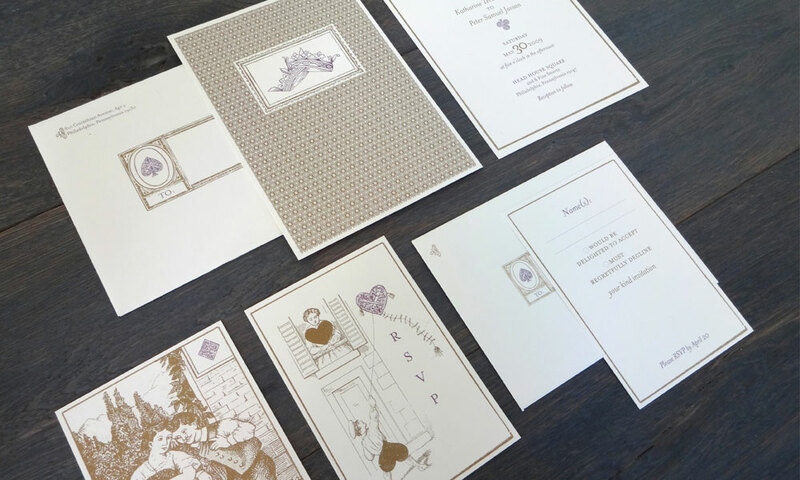 The vintage playing card illustrations paired with elegant fonts and metallic gold ink set just the right tone.